Matchbooks are a great promotional item that many businesses decide to add to their corporate gift giving. This type of promotional item is useful, and the perfect way to advertise your business. 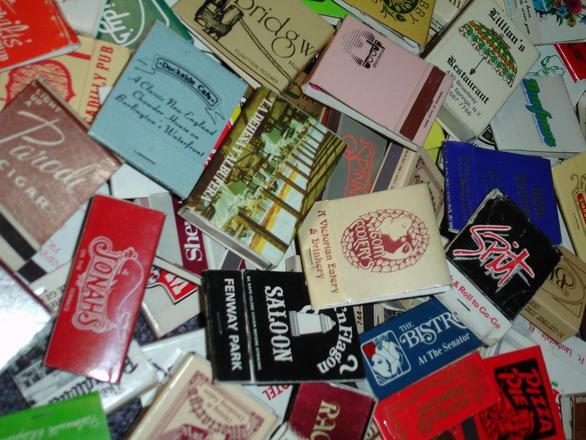 While there are free gifts offered by many companies, Matchbooks are one of the most popular choices. The best thing about choosing to give away a matchbooks is, they tend to be a very cost effective way to advertise your business. Most whole sell companies will offer a discount on bulk orders. Matchbooks are the type of item you can easily order in bulk, as they do not have an expiration date. It is best for you to save as much money as possible, because that means you are reaching more people with your advertising efforts in a cost effective way. This will help generate new business, while circulating your ad through people who need matches. Restaurants, campgrounds, pubs, concerts, lounges, parties and special events are all good clientele that Matchbooks would be useful for. Matchbooks are the perfect way to get your company name and brand in front of new and potential customers. This helps keep customers coming back for more. You want to be smart when ordering promotional gifts, as you want to get the most for your money. Specialty pricing may only be offered on orders of 5000 or more, so be sure your advertisement on the Matchbooks can be used for an extended period of time. Avoid dates, times or temporary product advertising as these may give customers false information. You would never want to hand out Matchbooks that are advertising a promotion that ended 6 months ago. This will only frustrate customers, and make your business look bad. Ensure that you take all of this into consideration before placing your order. When you are able to buy Matchbooks at a discounted price, you will be able to share your promotional items in a variety of ways. Not only can you display them in your business, you can also spread them throughout your community. Matchbooks are an excellent way to market your business. With bulk ordering, you can effectively reach a number of customers in a variety of ways. This will allow you to advertise your business to current customers, as well as potential ones. Make Matchbooks a part of your marketing plan, and take advantage of specialty pricing.